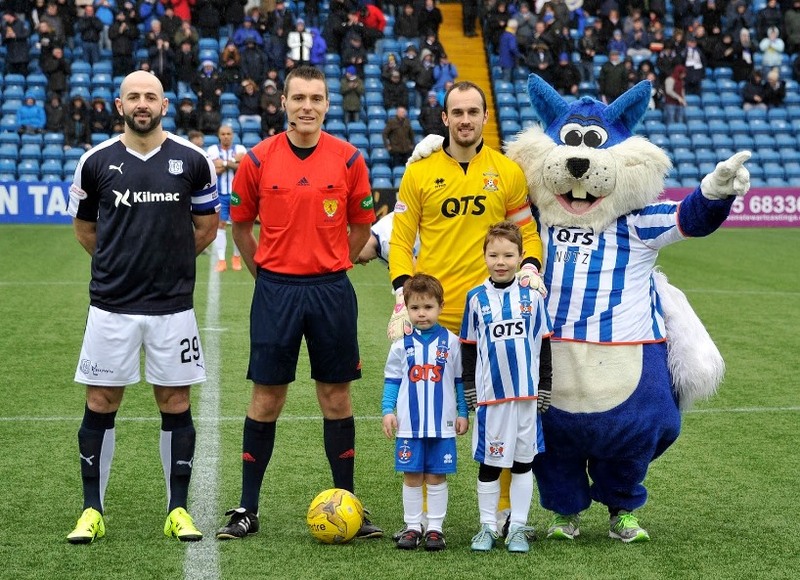 Jamie MacDonald, Lee Hodson, Conrad Balatoni, Stuart Findlay, Craig Slater, Gary Dicker, Kevin McHattie , Rory McKenzie, Greg Kiltie (Kallum Higginbotham 61), Tope Obadeyi (Kris Boyd 62), Josh Magennis. Subs Not Used: Conor Brennan, Mark O'Hara, Lee Ashcroft, Adam Frizzell, Dale Carrick. 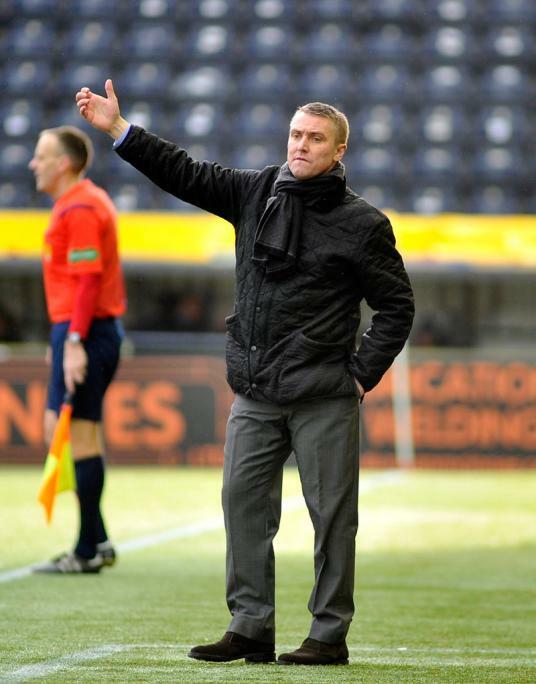 The visit of Dundee to Rugby Park marked new manager Lee Clark’s first outing as manager in a Scottish top-flight game. Clark might have got a bit of a shock when he first came through the tunnel, with a fraction of the support turning up for the SPFL game in comparison to Tuesday night’s sickener against Championship side Rangers. 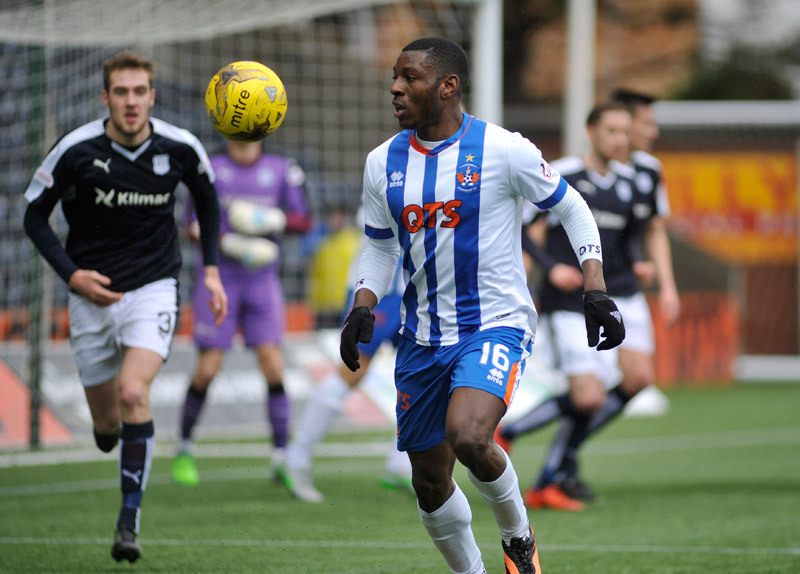 Nevertheless, he came out to good applause from the Killie faithful. 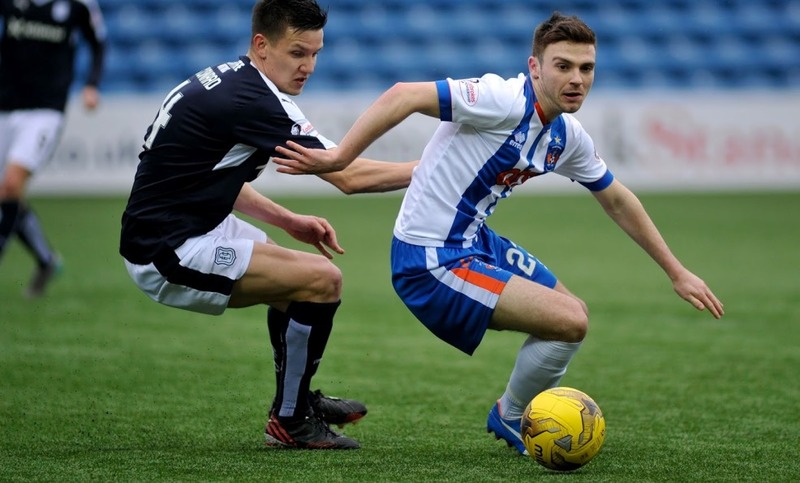 Killie fielded almost the same team as Tuesday, with the only change coming in the form of Kevin McHattie for the injured Stevie Smith and they got off to a flying start. Kiltie and Slater combined well to feed Magennis who was unfortunate not to show enough striking ability to get the ball over the line from the left of the six yard box in only the third minute. 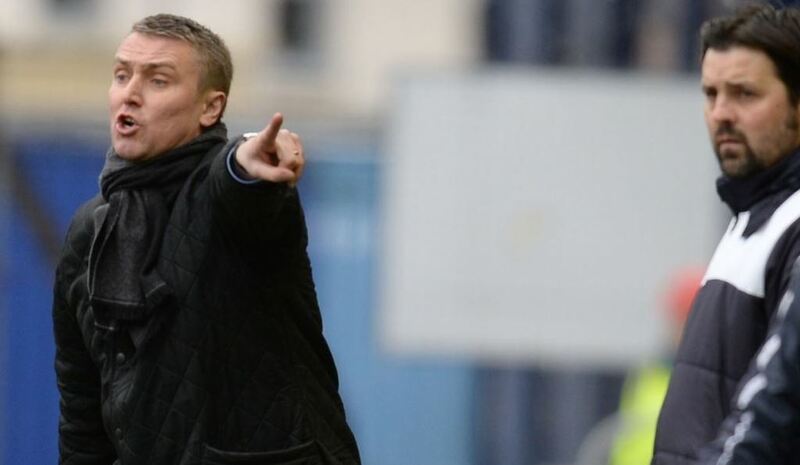 Three minutes later and again Magennis was wasteful with a blazing shot over the bar from the edge of the box. Both teams were fairly equal, with Harkins looking to get on the ball at every opportunity and Dicker doing very well to nullify him. 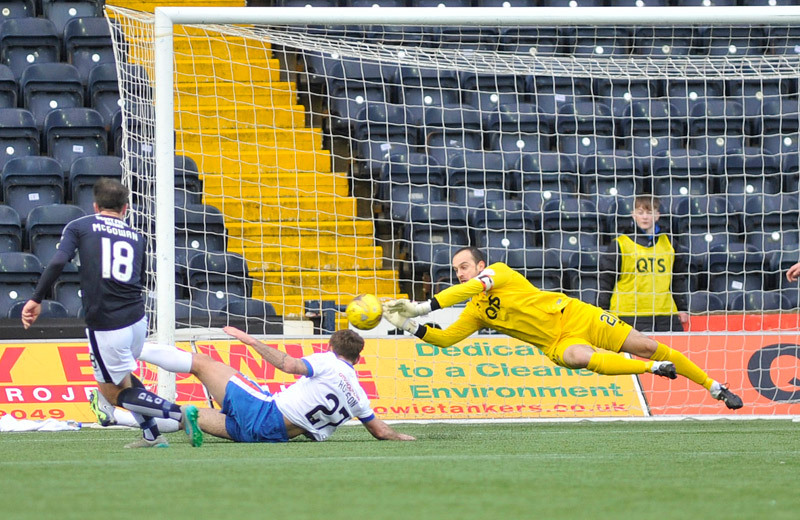 Killie had two good chances from corners in the middle of the first half. 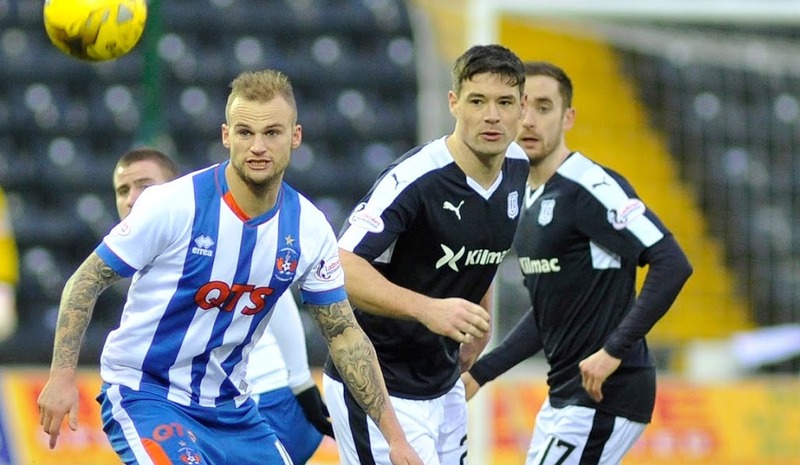 First, Dicker volleyed high from a McHattie cross, and then Magennis had a head blocked on the line by Nick Ross. Slater was putting in his usual performance in the middle, but he is always good for a free-kick, and was unlucky not to score from one where Bain was equal to his shot. 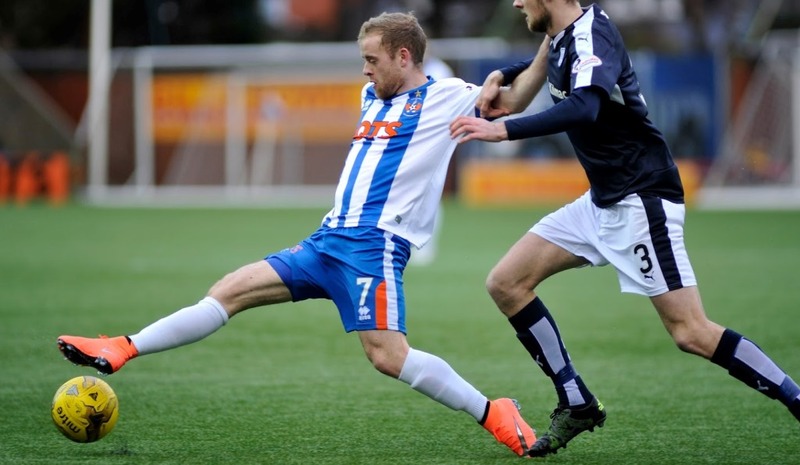 Slater lost out to Stewart in the middle of the pitch, who fed the ball through to ex-Killie Rory Loy. 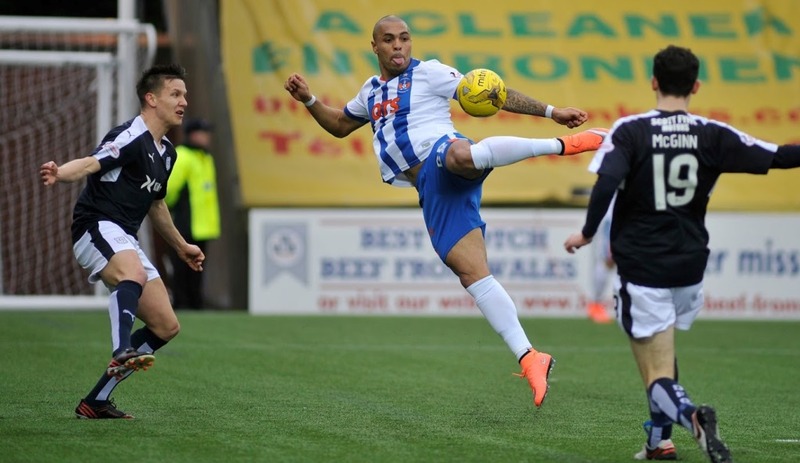 Loy showed just why Killie got rid of him by ballooning his shot over the bar. Another Rory, McKenzie this time, then finished the half with a fine shot from outside the box, but Bain was more than equal to it. 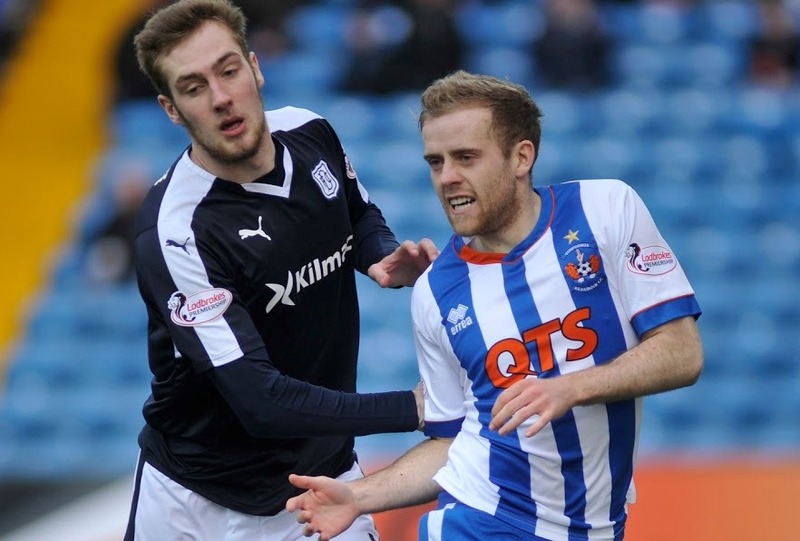 The second-half wasn’t quite so nice to view from a Killie perspective. 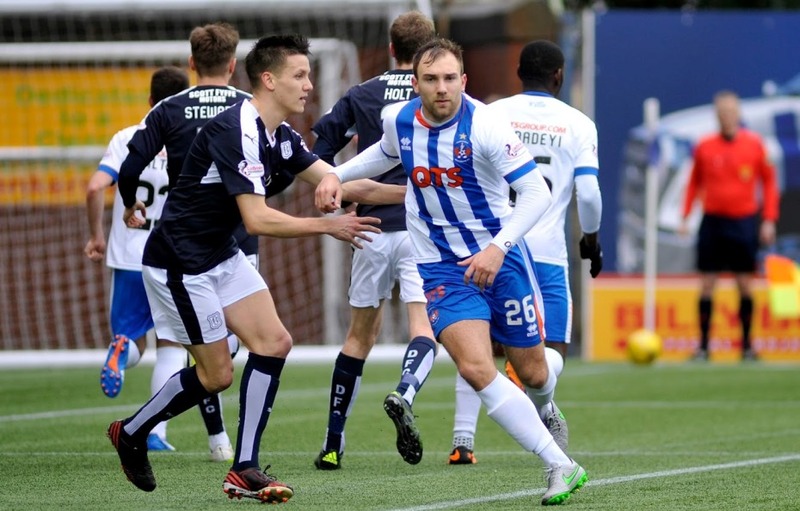 Dundee piled on a lot more pressure and would have scored were it not for the heroics of Killie’s player of the season (elect) Jamie MacDonald. 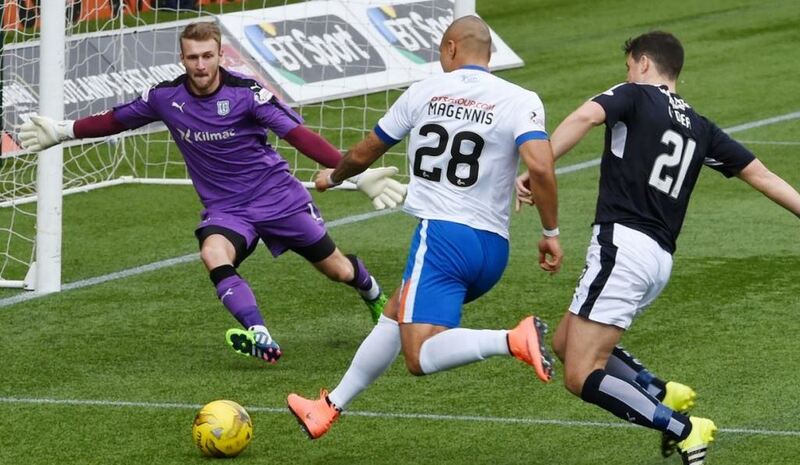 The 'keeper made good saves from shots from both Paul McGowan and Kane Hemmings. When MacDonald was beaten, Dundee’s poor shooting helped, with Kane Hemmings and pantomime villain Harkins both shooting wide. Then Rory Loy headed wide in injury time when it seemed that getting the ball on target would be easier. 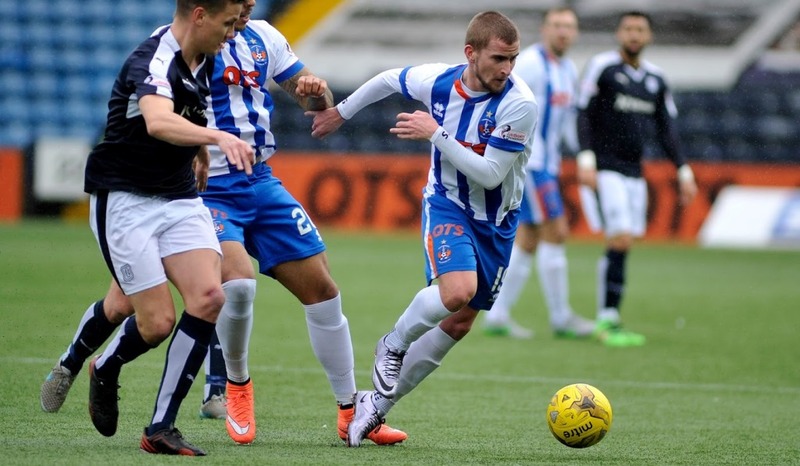 Next up is an away day in the capital, where Killie should be confident of a result, even with Hearts' lofty position in the league. 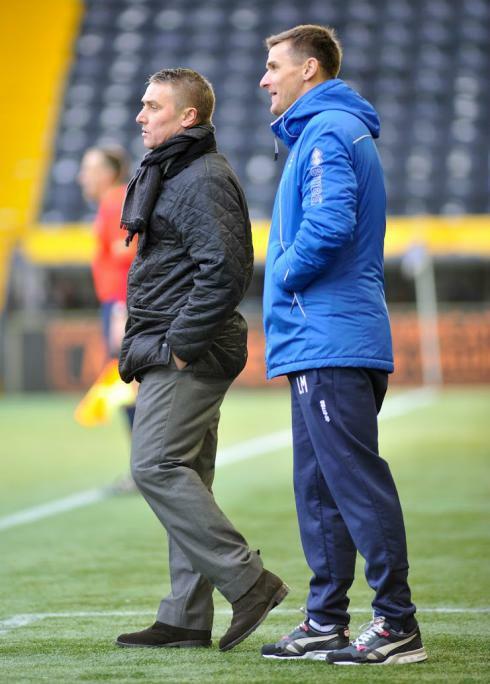 Lee Clark: "If we had come in at half-time ahead, it would have been deserved. 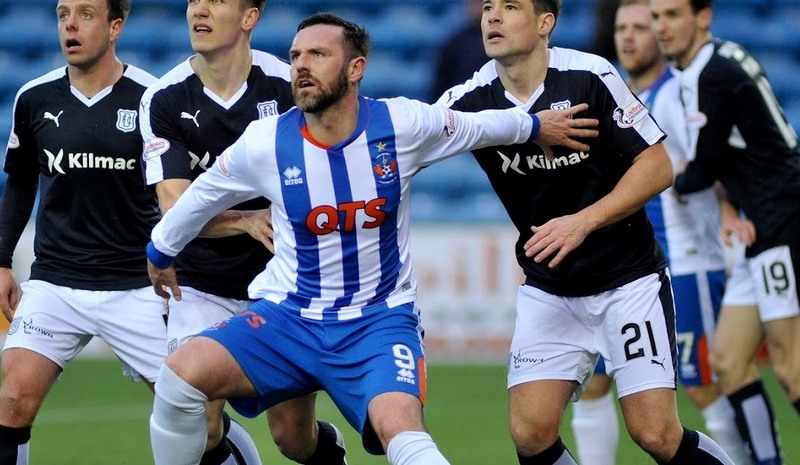 The frustrating thing is that we put on Kris Boyd, one of the most prolific scorers in the Scottish game, and we stop putting crosses into the area. We changed the mentality. The reason I put him on was because we were getting round the outside, putting plenty of crosses in and I knew he would get on the end of one of them and score. For some reason, we have an asset like that and we change the mentality. 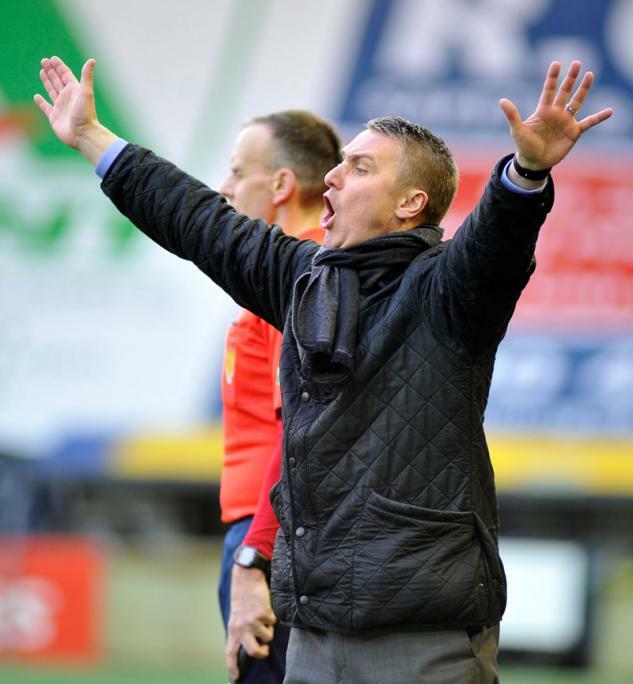 That's a technical aspect that I can help the players with going forward. I'm pleased with the blocks and defending of crosses from our two centre-backs in particular. If you're going to be successful, you need to be strong defensively and we've only lost two goals in our last four games, both against Rangers from set pieces, and the players seemed to learn from that today, they were stronger from set plays. The fitness won't change overnight, we can only gradually do it. 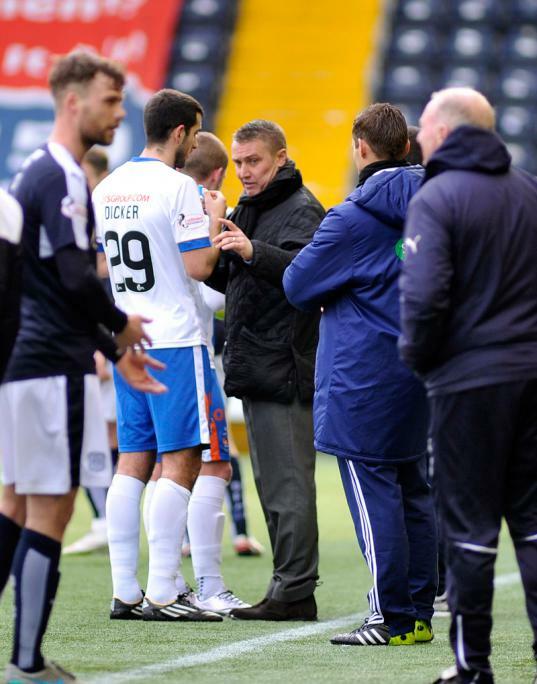 I can run and run and run them, but they'd have no fitness left for the match and probably pick up injuries."